There is no doubt that Albert was the kind of boy who made up his own mind about things. He hated his schools in Germany because he didn't like to be spoon-fed material and hatred learning things by rote. Furthermore, if he didn?t like a subject he didn't really bother with it, focusing instead on the topics that excited him, namely math and science. Albert studied these subjects on his own and was so good in Maths and Physics that he was soon far advanced beyond his school mates. When he was just seventeen Albert went to college in Switzerland and in that same year he ceased to be a German citizen, something he had decided on doing for philosophical reasons; Albert simply did not feel that he could continue being a German because he was not German in his heart. This is interesting when one considers what happened to him later in his life and how he ended up moving to the United States, a country where he felt he could have intellectual and personal freedom which was denied to so many in the Germany of his lifetime. After leaving college Albert began to write papers about questions and subjects that interested him. He also married and he and his wife Mileva soon became parents of their first son. It was Albert's imagination which fuelled his curiosity in scientific subjects and which drove him on to examine and look at the nature of light, gravity and matter. For the rest of his life Albert's imagination made him ask questions about math and physics and it made him have great depths of sympathy for those in trouble. He often found time to play with children, to speak up for those whose voices could not be heard, and most of all to denounce war and the violence that went with it. 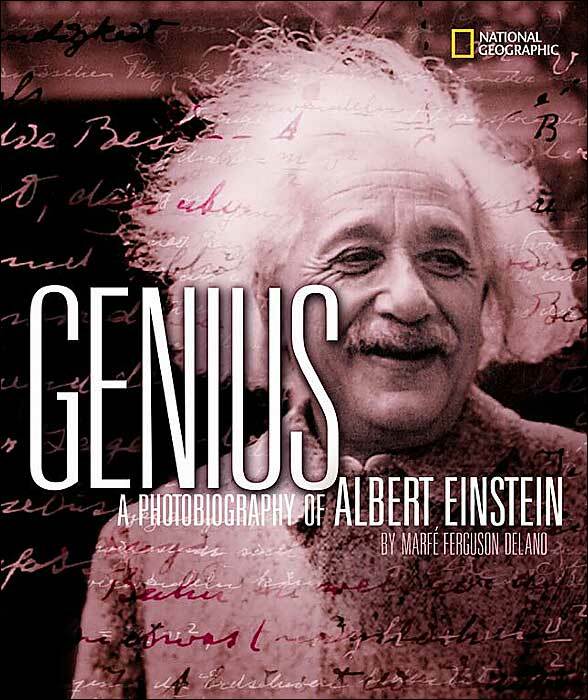 The author not only tells us the fascinating story about Albert's life but she also simply explains the background for Albert's ideas and what his own theory explained. In simple words his elegant equation and the theory linked with it are described. Superb annotated photographs, quotes and diagrams fill this wonderful biography which is a tribute to one of the world's greatest people.